Remote IT Support is an efficient and cost effective method to resolve critical IT issues which causing interruption to staff or business processes before they impact your cash flow and employee productivity. Modern day business is increasingly dependent on technology so it is critical that any IT issues causing interruption to staff or business processes be addressed quickly and efficiently to minimize any impact on cash flow and employee productivity. Our Remote IT Support service is a fast, efficient and cost effective solution for addressing the majority of IT support issues – over 90% of our current help desk queries are fixed remotely without the need for an on-site visit. Remote IT Support allows us to access your desktop remotely and see the same screen you do. Our experienced Remote Technology Engineers can quickly locate the problem and help you implement a solution – all you need is an internet connection. If the issue cannot be fixed remotely, we will let you know so we can schedule an onsite support visit. Once you submit a support request, our Remote Technology Engineers will analyse the support ticket and determine the most cost effective cause of action. We will then provide you with a small link to type into your internet browser and that’s it! We’re connected. 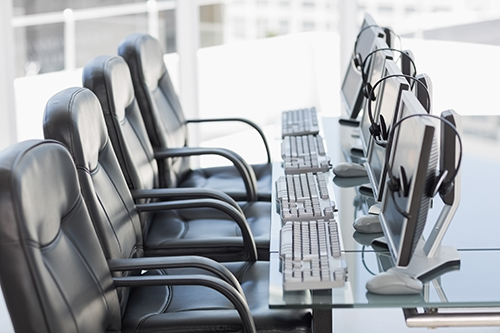 Remote IT Support provides significant cost benefits over onsite support. There is no call-out, support is typically provided instantly and your employees have reduced unproductive time while learning how to fix the issue at the same time. Remote IT Support is a win-win situation for any business. Businesses who operate remotely, interstate or overseas are typically left out of IT support contracts due to the roaming nature of their business. Refined IT’s Remote IT Support provides these businesses the flexibility they need to run in any location worldwide. ‘We want businesses who operate over the weekend to feel confident that their investment in technology infrastructure is supported during their operating hours’. We know IT problems do not just occur during standard business hours.